Fresh Ginger is harvested, peeled, and cut to proper size. 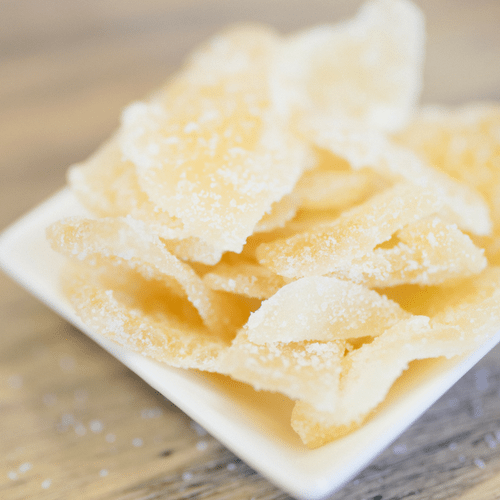 The sliced ginger, in its natural color, is soaked in a water and cane sugar solution. The Ginger is rolled in crystallized cane sugar.